You will be notified electronically once your financial aid award is available. Financial aid awards for first year students are released in coordination with your offer of admission, provided all required documents have been received. First-year students may view their Offer of Financial Assistance through their Application Status Check or their myNortheastern Portal. Returning students will be directed to view their financial aid award through their myNortheastern. Once the financial aid awarding process has begun, awards will continue to be released on a rolling basis as your financial aid application becomes complete. Your Offer of Financial Assistance will list all of the financial aid offered to you and may consist of a combination of federal, institutional and/or state resources. In addition to detailing your financial aid eligibility, your Offer of Financial Assistance will also provide information regarding estimated costs, the terms of your award and next steps. Below, we have provided a sample Offer of Financial Assistance to help you understand your award. Please note, the items below do not reflect the entire Offer of Financial Assistance. As such, it is important to review your Offer of Financial Assistance thoroughly to understand the parameters surrounding your award and additional information. 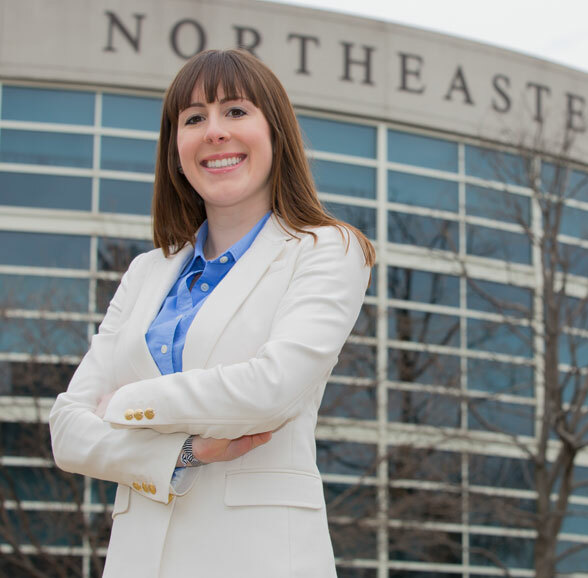 If you are a newly admitted undergraduate student, a Northeastern University Disclosure Statement will be included with your initial Offer of Financial Assistance. This statement is based on the standardized shopping sheet developed by the U.S. Department of Education to help families consistently compare the estimated costs of colleges and the types and amounts of aid available. The Disclosure Statement is not a bill. The Net Cost listed on the Disclosure Statement reflects only the estimated cost after gift aid and may not include additional financial aid that you may see on your actual award letter, such as Federal Work-Study or loan options, which can be used to reduce your total cost. Figures are based on estimates only and all tuition rates and fees are subject to change. These represent typical costs. Your actual costs may vary. Financial aid is contingent upon the student meeting all eligibility requirements. For more information about loans and other payment options, please visit financing options page. This does not include Nursing or Health Professions Loans that may be included in your financial aid award. The Expected Family Contribution (EFC) is an indicator used to determine your eligibility for need-based financial aid. It is derived from the FAFSA and/or CSS PROFILE forms. Your actual contribution will be your billed costs less any applicable financial aid.